Oh and the ship to shore battle was so much fun! This was my first time making a Vine so ... yeah, it's sideways. Anyway, it's still a really good little vid of the fight. Look at the freaking jet of flame that comes out that last cannon! 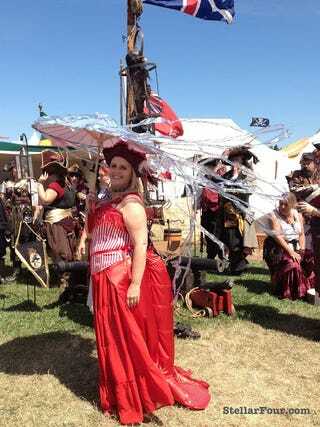 Has anyone else been to a Pirate Festival? Apparently there used to be one up in the Pacific Northwest until a steamboat ran over the docked pirate ship. There's also supposed to be one in England.